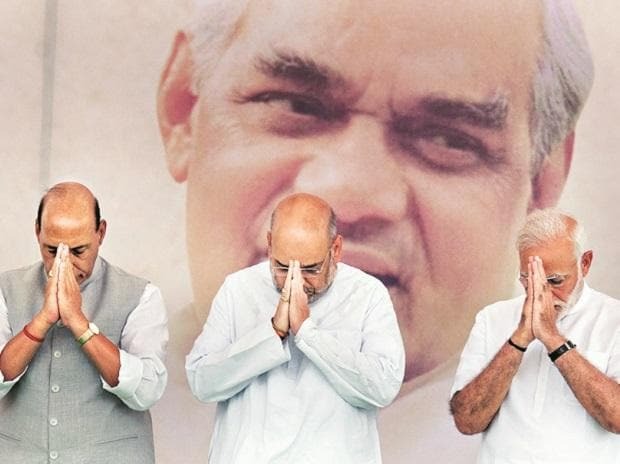 The Bharatiya Janata Party (BJP) on Saturday decided to defer its organisational elections to pave the way for Amit Shah to continue as President until the 2019 Lok Sabha polls. "Organisational elections are a vast exercise and it takes time too. All the workers get involved in it. So, a discussion is going on to defer the organisational polls until the 2019 Lok Sabha polls are completed," West Bengal BJP chief Dilip Ghosh told reporters here at the sidelines of two-day National Executive meet. Sources said that the issue was discussed at the office bearers, state BJP chiefs and General Secretary (Organisation) of the states meeting held under the chairmanship of Shah and a resolution, in this regard, will be passed by the National Executive. The office bearers meeting takes place before inauguration of the National Executive to set its agenda. According to the party constitution, any eligible member can hold the post of President for two-consecutive terms of three-years each. Shah was elected unopposed as the party president on January 24, 2016, for a second term, this time for a full tenure of three years. He had earlier completed Home Minister Rajnath Singh's interrupted tenure as President from July 2014. His second term will end on January 26, 2019. In the 2014 Lok Sabha polls, Shah was incharge of Uttar Pradesh where the BJP won 73 out of total 80 seats. After Rajnath Singh became Home Minister in the Narendra Modi government, Shah was apoointed BJP President in July 2014. Briefing reporters about the office bearers meeting, BJP Secretary Rahul Sinha quoted Shah as saying that the party will contest the 2019 polls on the performance of the Modi government and strength of organisation. "The opposition parties are trying to spread confusion among the people but they will not succeed. We will win 2019 Lok Sabha polls with a bigger margin," Sinha said. He said there are 22 crore beneficiaries of the central government's schemes and it has been decided that 9 crore party workers will reach out to them. "Their (workers) responsibility would be to take these beneficiaries to the polling centres," Sinha said, adding that party's booth level workers has been given responsibility to take voters out from their houses to polling centres. Prime Minister Modi will address the National Executive on Sunday afternoon.